Remember when getting a video to go viral was the dream of every business and brand? Remember when businesses and brands eventually figured out that millions of YouTube clicks didn’t necessarily translate to sales or conversions? The booming field of influencer marketing has reached a similar point. Instead of seeking high-powered celebrities who are themselves a brand (and command accordingly high prices for their endorsement services), savvy enterprises of all sizes are reaching out to micro-influencers and the power of their highly engaged followers. As covered in our July 20, 2018 post, “Influencer Marketing – How to Influence the Influencers,” influencer marketing is the successful combination of celebrity endorsements and content-driven campaigns. Keep in mind that the definition of “celebrity” doesn’t only apply to the show-biz variety. It can be anyone who is considered influential in a particular endeavor and has a strong social media following. Influencers engage with their followers on social media, building connections based on trust and accessibility – which makes them attractive to the brands and businesses targeting that specific buyer demographic. The distinction is that influencer marketing yields a long-term collaboration, not a one-and-done paid partnership. Influencer marketing is a calculated steer of a targeted audience in the desired direction of a product or business. Another big appeal of influencer marketing in general is that it allows brands to do an end run around ad blocking – as more than one in four internet users employ software to block ads. According to HelloSociety – an agency that connects brands with influencers for specific campaigns – 60 percent higher campaign engagement rates are driven by micro-influencers. Those campaigns are 6.7 times more efficient per engagement than influencers with larger followings, which makes them more cost-effective. Plus micro-influencers drive 22.2 times more weekly conversations than the average consumer. HelloSociety was acquired in 2016 by the New York Times, an organization not known for chasing fads. Kyla Brennan, HelloSociety’s founder and CEO, is a great believer in the power of micro-influencers as opposed to big-name social media stars. “Engagement goes down once you reach a certain threshold of followers, which is almost counter intuitive,” she says. 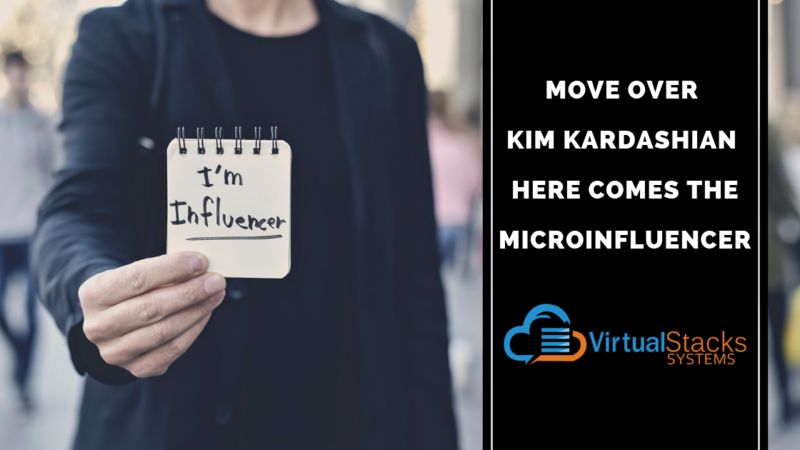 Unlike influencers whose social media followers number into the hundreds of thousands – and even millions – industry consensus defines micro-influencers as those having accounts within a broad range of 10,000 to 30,000 followers. As for the word following the hyphen, these influencers are more niche-focused than the major celebrity variety. They have already built and established trust with the audience a brand is looking for – which make them very effective in driving conversions and achieving optimum return on investment (ROI). If there is such a person as a major micro-influencer, Morissa Schwartz would definitely fit the description. Named by one publication as the “Voice of Generation Z,” Schwartz is a best-selling author and founder of GenZ Publishing – which publishes works by young authors – digital entrepreneur, motivational speaker and performer. And, by the way, holder of the Guinness World Record title for creating the longest chain of handmade bracelets. Her verified Twitter account numbers 13.8K followers, placing Schwartz in the micro-influencer sweet spot. Schwartz shared her experiences, observations and advice in an exclusive interview for this very blog post. A musician herself (she was a contestant in MTV’s 2014 competition singing series “Copycat”), Schwartz is currently involved with promoting a number of music artists. She has been provided everything from virtual reality (VR) headsets to pet products and beauty products. “MANY beauty products,” she emphasized, underlining the largest industry that regularly reaches out to micro-influencers. One regular client is a celebrity interior designer for whom she promotes charity events. Schwartz identifies the types of enterprises that would best benefit from the relationships she’s built with her followers are those targeting millennials. “Millennials have a lot of different interests, and so do I.” Also another big group is men in their 40’s, which Schwartz attributes to her years (2014-2016) as a writer for Entertainment Weekly, for which she wrote weekly recaps for such shows as South Park. Calling “nerd culture” her biggest niche market, one of her most successful promotions was for the Harry Potter Remote Control Wand. Another success was a campaign for a subscription box of luxury bath and body products. Although its $200 price point presented a challenge, Schwartz promoted it during the holiday season, when people are willing to pay more for indulgent items. She produced an unboxing video, which she posted to YouTube and her blog in its entirety, and posted clips on Instagram and Twitter. In addition to her choice of social media platforms, Schwartz said the unique SEO on each platform amplified the results. Yes, as we’ve said before, it always comes down to SEO. Lying about liking a product or service is very rare among micro-influencers, says Schwartz. The audience can see through insincerity, and it would be at the cost of the trust the micro-influencer has gradually, carefully built among her or his followers. On mistakes that brands make with approaching micro-influencers, not doing homework on who the influencer is and their followers’ demographic tops the list. “I’ve been sent wrinkle creams and cat toys,” says the 24-year-old dog owner. Schwartz’s adorable pup, Bernie, is a frequent presence in her social media posts – which basic research will easily turn up. As for the increasing inclination of brands to hire agencies to connect them with micro-influencers, Schwartz urges caution. People who appear to have a large following may actually have “fake followers” – that is, false social media accounts known as bots – which can be bought to artificially inflate the appearance of the purchaser’s own social media popularity. A brand partnering with such an unscrupulous individual won’t get the engagement it expected and paid for. Schwartz notes that being a marketer herself, she acts as her own agency, with businesses and brands approaching her directly. She also uses an online freelance platform to seek opportunities. Successful influencer marketing requires that the brand seeking to partner with an influencer have a solid social media presence. Our Social Media Marketing and SEO Services teams at Virtual Stacks Systems can build the basis you need. Contact us today.